Migrants coming to Grand Rapids settled in the southwest and southeast neighborhoods, which are still seen as predominantly Latinx neighborhoods today. Due to migration, many neighborhoods in Grand Rapids became racially mixed. Mexicans, Blacks, and European immigrants lived amongst each other in these diverse areas. Policemen in Grand Rapids were known to discriminate against Latinx immigrants due to their skin color. As a result of this, crime rates amongst the Latinx community were on the rise. As for religion, the Lady of Guadalupe Chapel was established by Daniel Vargas in response to converting migrant workers to Catholicism. 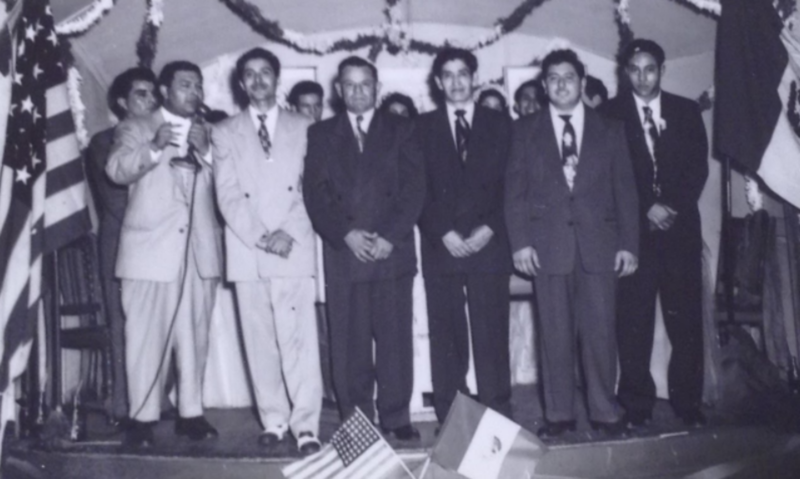 Along with the church, the Mexican migrant population led to the establishment of the First Hispanic Festival. Seasonal migration was more common in Grand Rapids than permanent settlement in comparison to other cities in the midwest like Detroit and Chicago. In Chicago, migrants came to the city in order to receive jobs in factories, steel mills, and meat packing. However, their ultimate goal was to be able to get work on the railroads. Just like Grand Rapids, Chicago had no distinct area that was predominately Mexican. Many of the neighborhoods that Mexicans would reside in were mixed with other residents that were from other ethnic and racial groups. As stated above, many migrants coming to Grand Rapids would settle down in the southwest and southeast neighborhoods. Similarly, in Chicago migrants would settle into neighborhoods that were concentrated into three main districts: The Near West Side, Back-of-the-Yards/ Packingtown, and South Chicago. Migrants moving into Chicago also had many similar experiences to that of migrants in Grand Rapids. One example is that many of the interactions that Mexicans had with the Polish, Irish, Italians, and Germans were not the best. The reason for this is because these groups of people wanted to drive the Mexican population out of Chicago from the fear that Mexican men would take their jobs. Along with this, Mexican interaction with the police force would also result in bad experiences. Due to the European immigrants’ reaction to migration in Chicago, many Mexican people would only have the ability to interact with each other in their own designated areas. Similarly, Mexicans would travel in groups to public areas from the fear that these European immigrants would come to do them great harm. Arredondo, Gabriela F. Mexican Chicago: Race, Identity, and Nation, 1916-39. University of Illinois Press, 2008.